It’s almost Valentine’s Day and maybe you need a last minute craft for a teacher, grandparent, or mom (I’m looking at you dads)! 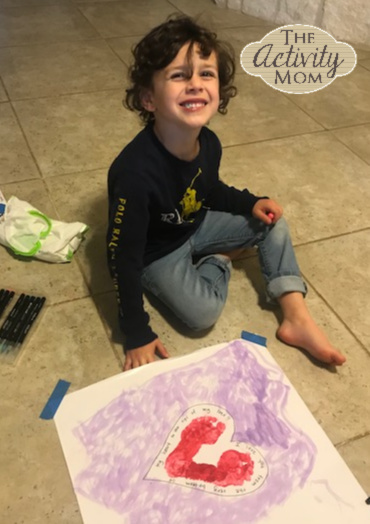 Here are two super simple Valentine’s Day Crafts for Kids that you will love. First we made this simple Love Sign. 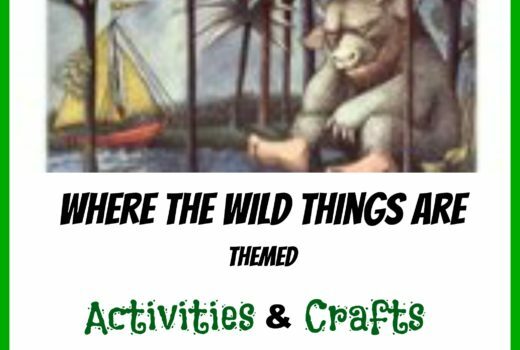 This is a great craft for all ages as it lends itself to young children and can be adapted to older children as well. 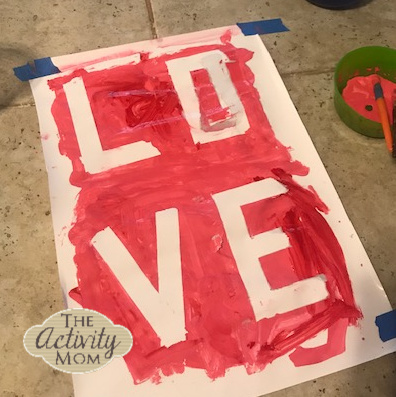 All I did was use blue painter’s tape on slick white easel paper (or a canvas would be awesome) and spelled LOVE. 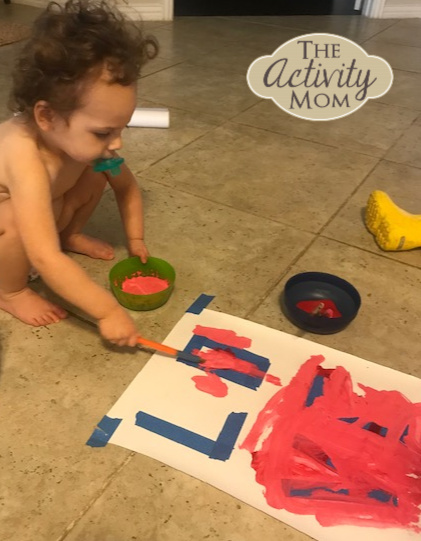 I let my 2 year old paint all over the paper and the I pulled up the tape. Viola…cute and cute! Second I did a more traditional footprint craft. 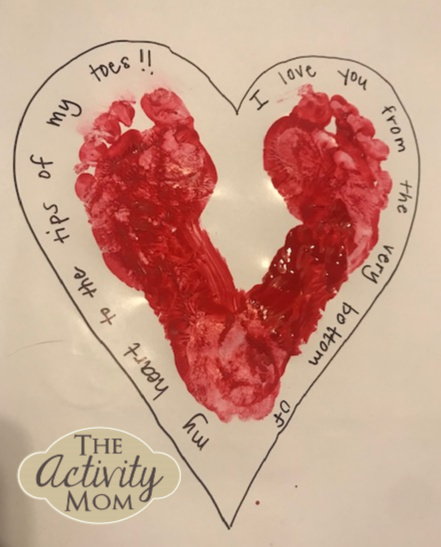 I painted both of my son’s feet red and made a heart print. From there you can write any message you want. I wrote: “I love you from the bottom of my heart to the tips of my toes” as a play on the way the writing fell around the feet. Afterwards, I let my son use his favorite color purple to water color around the page. 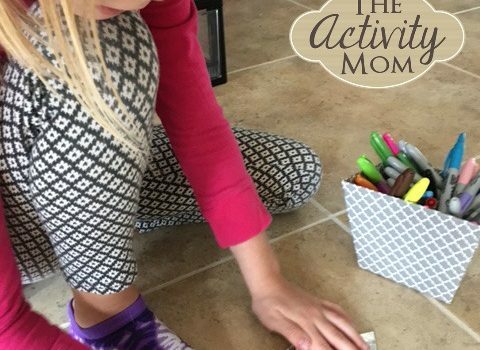 Both of these Valentine’s Day Crafts for Kids are precious keepsakes that will be cherished for years to come.